If you have used Revit for quite a long time, you probably already know about Revit extension. It provides many capabilities to your Revit software. If you haven’t used it, then you should try it now. The extension is free for you who are on subscription. However, the extension is now separated to several applications. You can still download the Revit extension on subscription website. However, the other applications must be downloaded from Autodesk Exchange Apps. You still need have active subscription to download them. The famous Revit extension is already exist in several releases. As soon as you install it, you can see many tools available in Revit ribbon> Extensions tab. It provides integration with AutoCAD Structural Detailing (structure only). 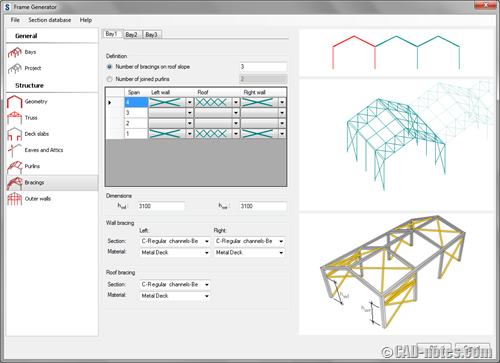 It allows you to do static analysis of beams, frames, trusses, etc. (structure only). It provides tools to quickly create reinforcement (structure only). It provides steel connection tools for beam to column and column base (structure only). 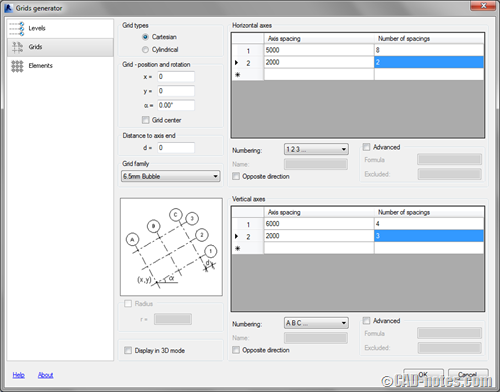 Structure generator and more tools. If you use Revit Structure, then this is a must have tool for you. If you are interested, you can download it from Autodesk subscription download page. Click here to go subscription center. We know that we can’t analyze structural model in Revit Structure. You need to export the model and analyze it in other analysis software. 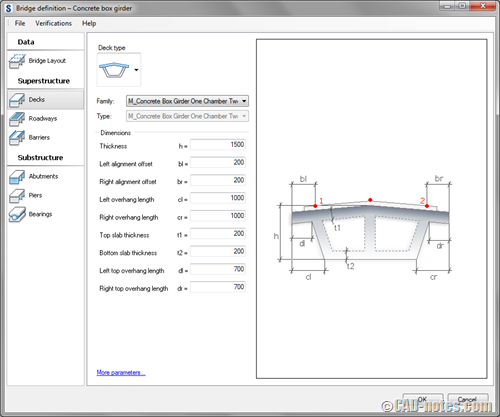 This extension provides link to Autodesk Robot Structural Analysis. If you don’t have Robot, it also allows you to analyze your model in Structural Analysis 360. By using Structural Analysis 360, you can upload your analysis model and analyze it on the cloud. After it finish, you can download the result and explore the result from within Revit. You can also download the report in PDF format from the website if you need it. 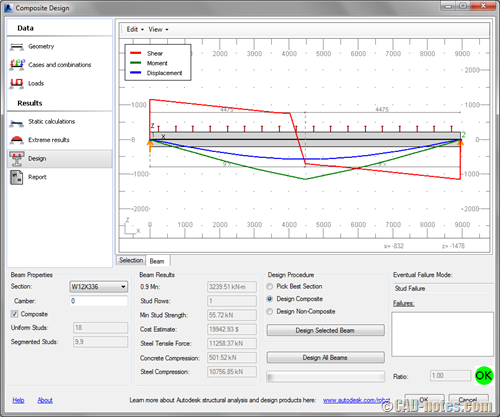 Click here to download Structural Analysis Toolkit 2014. Timber Framing extension is available for both Revit Architecture and Revit Structure. 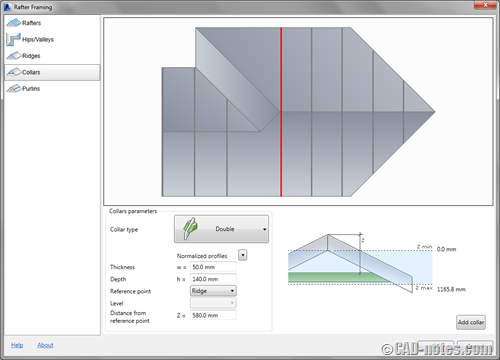 If you design many timber structures for walls and roofs, this tool can do it quickly for you. Click here to download Timber Framing for Autodesk Revit 2014. Composite design allows you to quickly check composite beams. Unfortunately the extension only can calculate AISC standard. This extension provides bidirectional integration with Revit Structure. 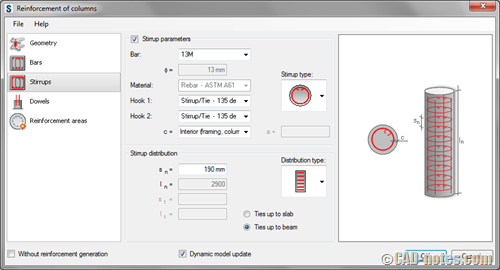 If you change the beam design in this extension, it will update the Revit model. Click here to download Composite Design for Autodesk Revit 2014. Creating grids and levels is a tedious task. With this extension, you can create levels, grids and also elements on grids and levels you define at once. Click here to download Grids Generator for Autodesk Revit 2014. Frame generator is a great tool to quickly generate steel structure. You can create complex frame like below just in a few minutes. Click here to download Frame Generator for Autodesk Revit 2014. Civil structures extension is very useful if you need to design infrastructure like road and bridges in your Revit model. You need to import the road and topography data from infrastructure software like Civil 3D. Click here to download Civil Structure for Autodesk Revit 2014. What extension is your favorite? There are more extensions available in Autodesk Exchange Apps. You also can download some enhancements or extension in subscription center. Many of them can increase your productivity significantly. Share with us, what is your favorite extension? How does it help you? Hi, Thanks for the interesting article. Can you help with some questions regarding the very first screenshot. On the Extensions Tab, we can see a Steel Connections icon; please can you confirm what version of Revit this is for and secondly, where can we get this extension, I cannot find it in the Autodesk Exchange Apps store, is it available from somewhere else? It used to be available for Revit 2012! That article was written with Revit 2014, but I still have it in my Revit 2015. I haven’t been able to download extension for 2016, but it should be available soon. It’s available in Revit Extension package, and you can download it in Autodesk account (formerly Autodesk subscription page). Thanks for the reply. I appreciate this was written back in 2014, I was surprised you can get the Steel Connections extension for 2014 or even 2015, it is specifically the Steel Connections extension we are looking for, we have all the rest. I have been searching for ages and now, from what you say, the only other thought is that here in the UK it is not accessible; maybe it’s a regional availability only. Is there any possibility you can provide a link to the Revit 2015 Steel Connections extension ? There is no Steel Connection extension only. You need to download and install Revit Extensions. I don’t know if you can use this, but this is the download page link in my Autodesk account page. 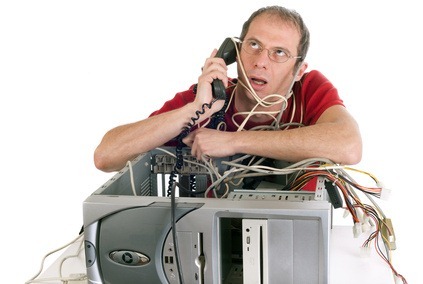 The plugin name is quite confusing, I also had the same problem with you before. I’m glad that you finally get the plugin. hi Sir, I can’t find the Steel connection for Revit 2014. What I got is for Revit 2015. I doubt I can used the 2015 version to 2014. Please share your Steel connection for Revit 2014, if you got one, thanks!